This recording was made at Jai Dee Yoga in Tampa, FL. We are on a twelve week journey to personal transformation by focusing on each of the Baptiste Laws of Personal Transformation. 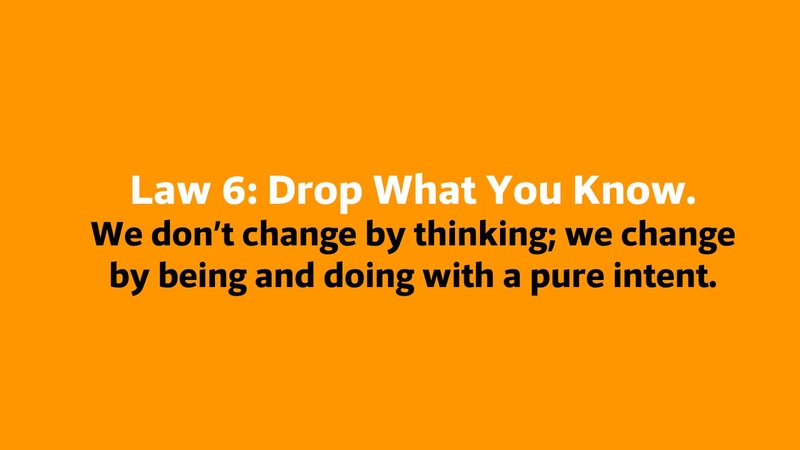 The sixth week is Law 6: Drop What You Know. We don’t change by thinking; we change by being and doing with a pure intent.